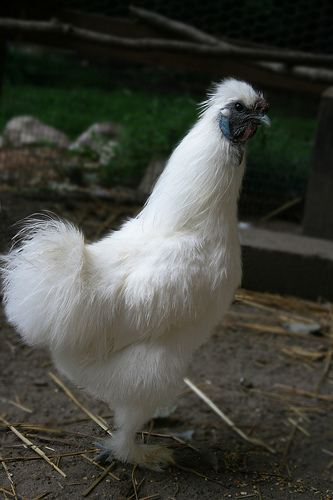 The first Pekins are said to have been stolen from a private collection held by the emperor of China in Peking around 1860. According to another story, they were imported from China around 1830-1840 and presented to Queen Victoria. They were then crossed with other breeds and are know today as Pekin Bantams. 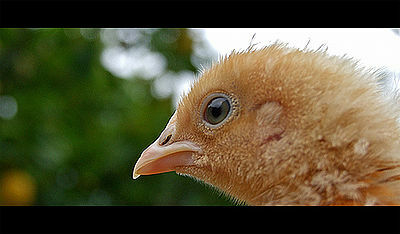 Pekin Bantams are also known in America and Canada as Cochins. 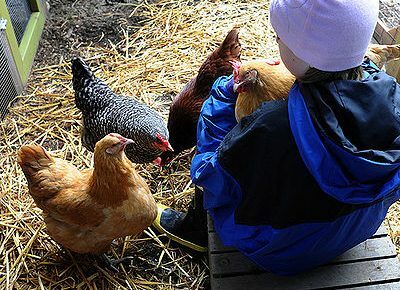 Pekins are very gentle so they are suitable pets for children. They will sit on their owner’s lap and allow themselves to be petted. They are good layers of eggs and good mothers. The cockerels, however, can still be aggressive and defensive of their territory and mates. They don’t scratch around too much in flower beds and don’t require a lot of space so they can be kept in a small garden. Pekin Bantams come in a variety of colors: lavender, blue, silver partridge, red partridge, blue mottled, Columbian, cuckoo, mottled, buff, black, white and wheaten. They are shorter than other bantams and have feathers on their legs and feet. Because of their feathery feet, Pekins need to be kept dry and clean. Mud which clings to their feet will harden and cause painful balls which are hard to remove. 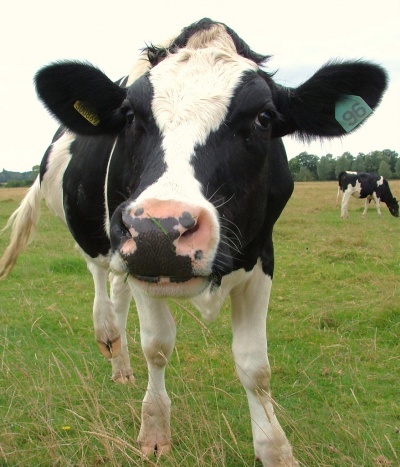 In the winter it is best to keep them indoors or allow them to run around on concrete outdoors.